This item can only be shipped to North America - No exceptions! Great Scott! 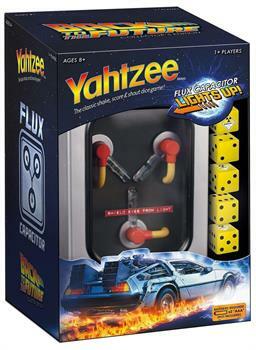 Yahtzee, America's all-time #1 dice game, takes on 1985's classic time traveling movie, Back to the Future! 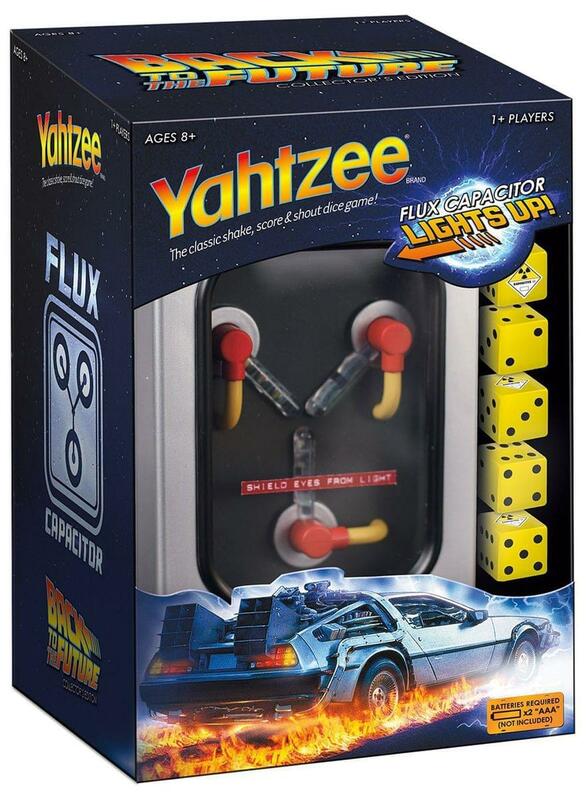 Includes a collectible light-up Flux Capacitor dice cup, 5 custom dice, score pad, and pencil. Classic shake-and-score action that keeps the fun rolling! 1+ Players. America's all-time #1 dice game, takes on 1985's classic time traveling movie, Back to the Future! Light-Up Flux Capacitor Dice Cup!